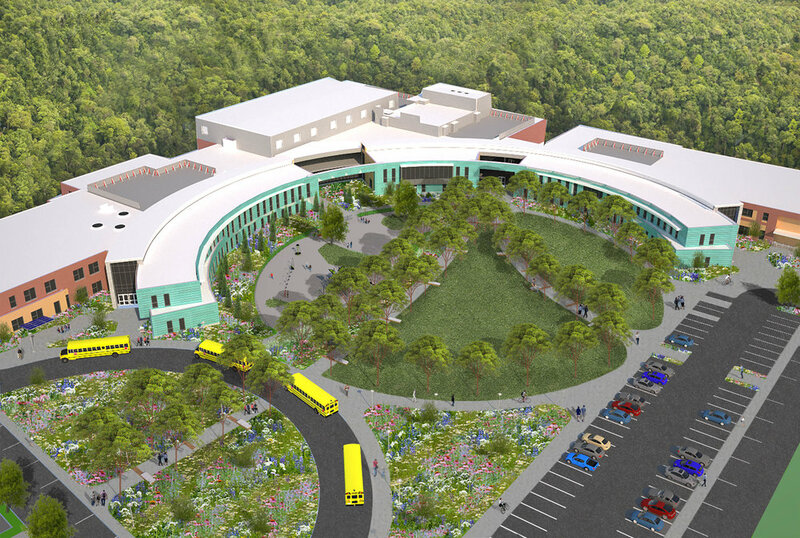 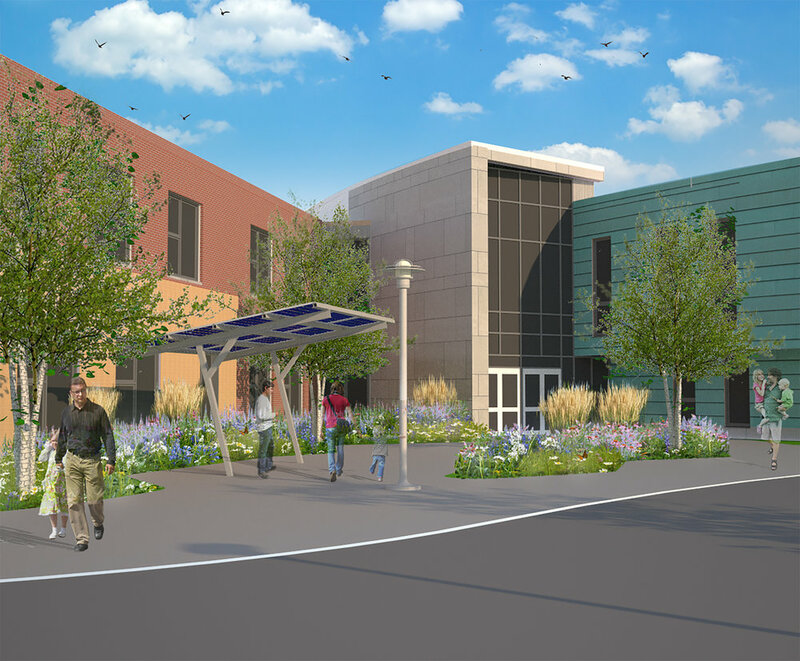 WDA Design Group is acting as landscape architect and master planning consultant for the Town of Holbrook as part of the development of their new 217,000 sf, 1,100 student Pre K-12 School, located on the site of the existing community high school. 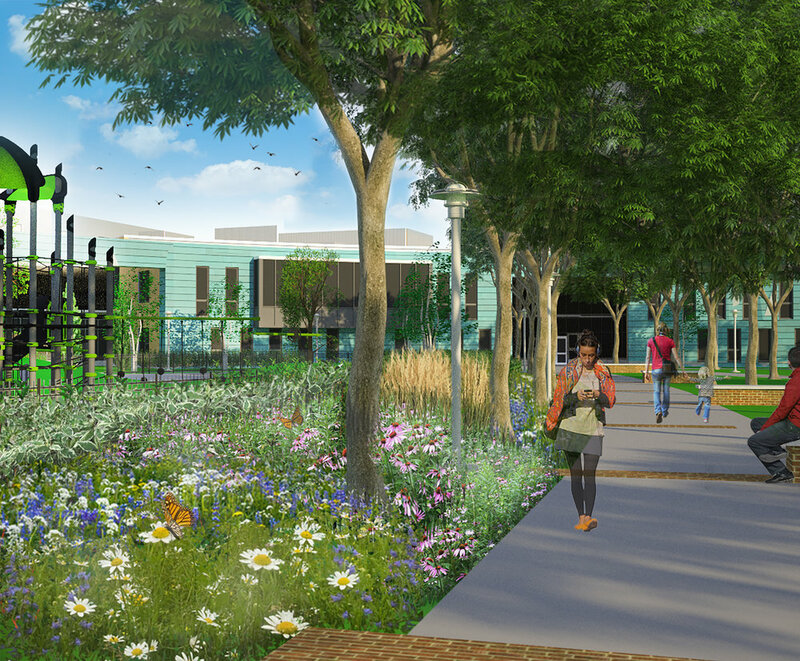 The highlight of the site design is the development of a campus green that is programmed with walking paths, seatwalls, lighting, mounded swaths of native grasses and perennials, large caliper deciduous canopy trees, and a 15,000 sf community playground. 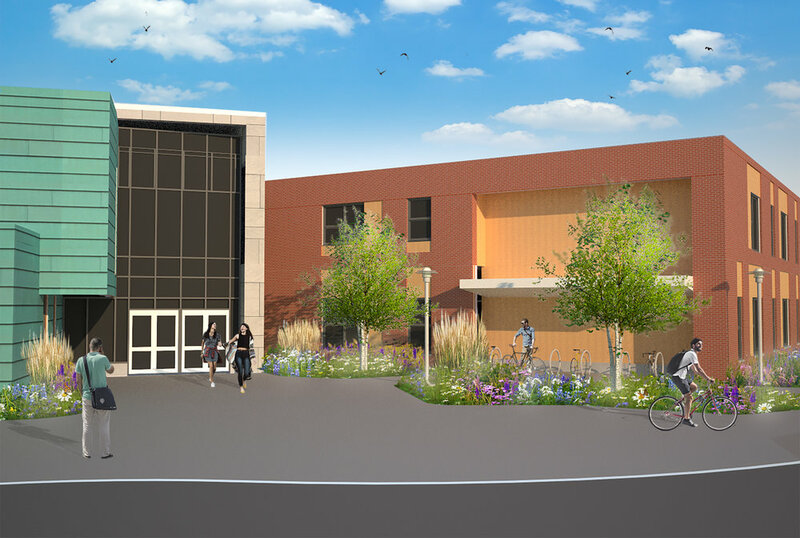 New athletic facilities include a multi-use synthetic turf field, a 6-lane synthetic running track, field sport facilities including high jump, long jump, triple jump, shot put, discus, and javelin, a natural turf boys baseball field, and a natural turf girls softball field.